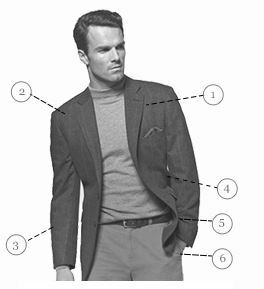 Jacket: Tailored fit. Two button, single breasted. Angled pockets. Side vents. Four interior pockets. Fully lined. Four button cuff. Dry clean only. Bought 3 jackets. Really pleased with quality, style, cut and delivery really quick. 5 star satisfaction is easy rating to give. 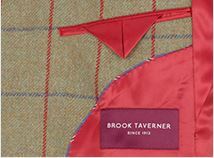 I have shopped with Brook Taverner for many years and have never been let down. Excellent quality and good availability. My current inventory includes 5 suits, 5 tweed jackets with waistcoat (1 beautiful Harris Tweed) 2 tweed coats (again one Harris Tweed) 1 pair leather shoes.....etc. My first choice for clothes shopping! Great quality. Superb Harris Tweed material, fitted according to the size guide, some excellent, thoughtful details in the jacket, such as spare buttons (three different types) and fairly subtle outline map of the Outer Hebrides (including Harris!) on the lining. Jacket looks high quality to me. 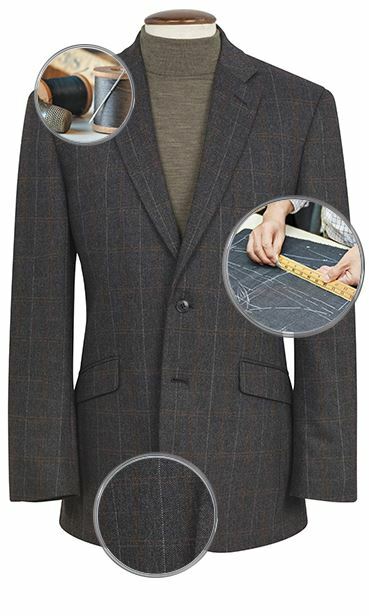 A quality jacket, made from genuine tweed (unlike many on the market) at a very fair price. Colour slightly different from site pictures but quality of the product made up for that. Very pleased customer. Great Quality well made item. 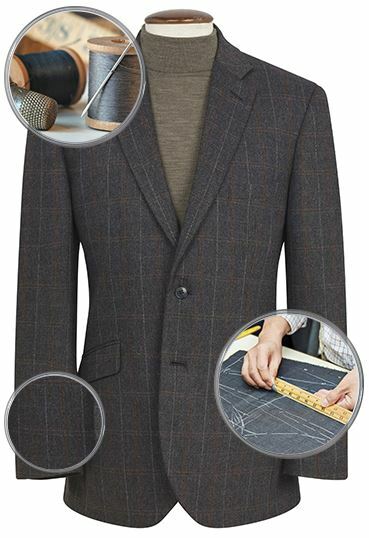 Have been looking for a Harris Tweed in a more modern fit and finally a tailored one in modern colours. Just need a blue one now ! Harris Tweed has the edge and is very unique. The gold lining also makes this a younger looking jacket. 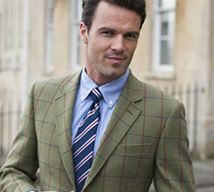 Could you please tell me the fabric content for the Scarp Harris Tweed Jacket? Thanks! This jacket is made from 100% wool.